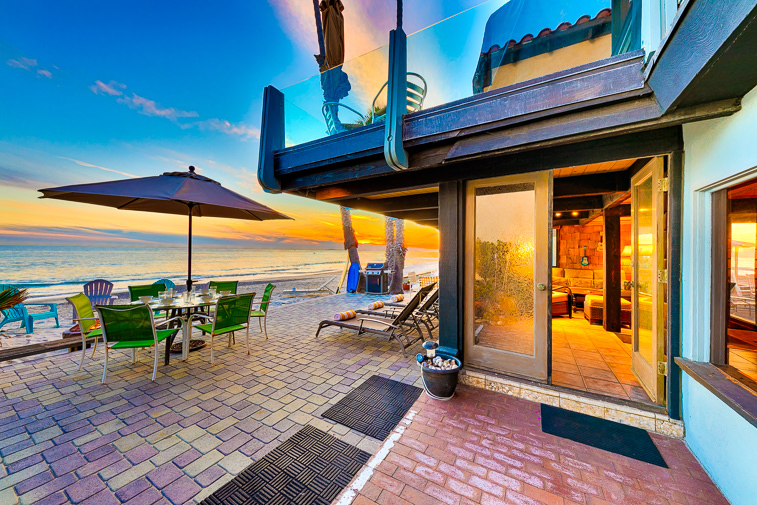 This home, on what is affectionately called California’s Riviera, is in the exclusive gate guarded community of Capistrano Beach. This Beach Road stretch provides privacy and seclusion not commonly associated with beachfront property. 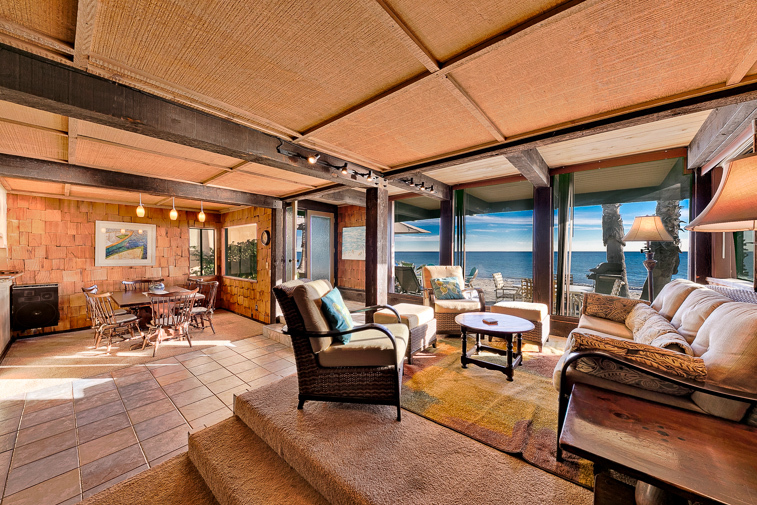 Right on the beach, this is a perfect place to experience the romance and the energy of the ocean, as well as magnificent views of one of California’s most beautiful coastlines. 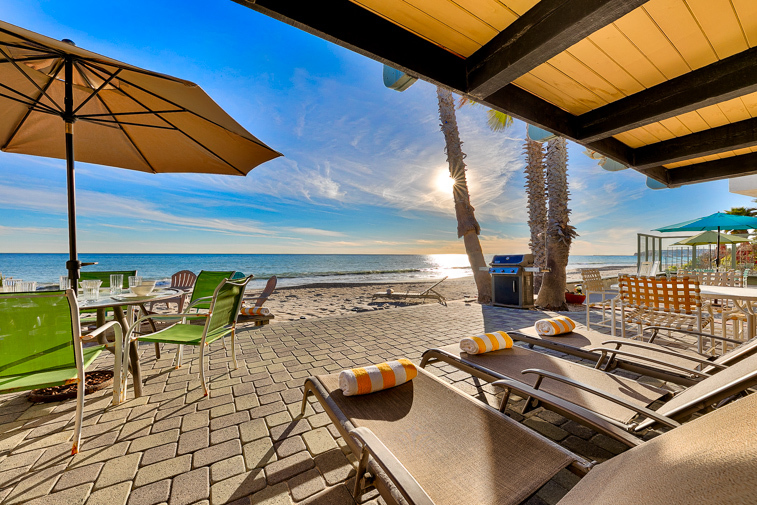 Relax, read, or reconnect on the well-furnished, private, covered oceanfront deck that leads you right onto the sand. Watch surfers and birds dive in the water and dolphins play - and you may even get lucky enough to see a whale at the right time of year. 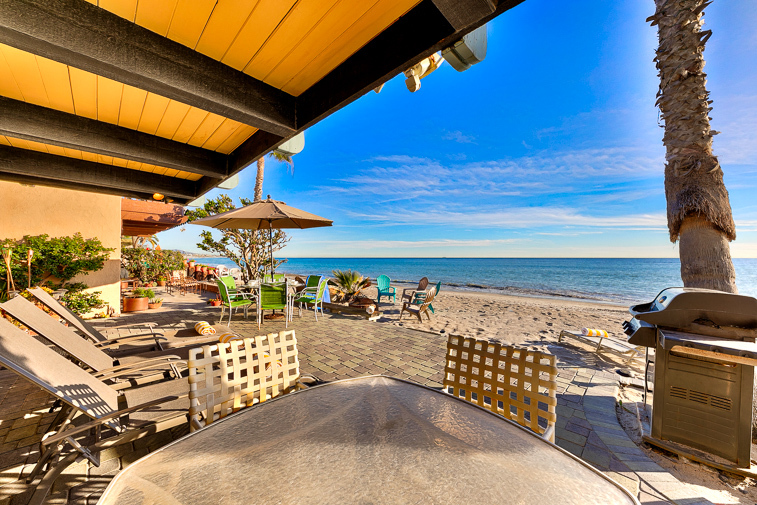 Take a walk, play tennis, or go for a bike ride along the ocean path to Dana Point Harbor. 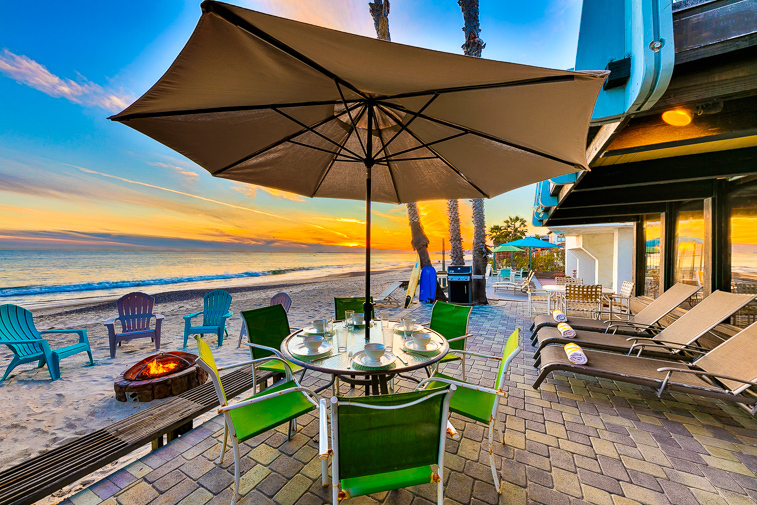 Enjoy a family barbecue on the deck with a dining table for 6-8 or lounge around the fire pit enjoying your cocktail or glass of wine while you watch the sun set and the starlit skies emerge. 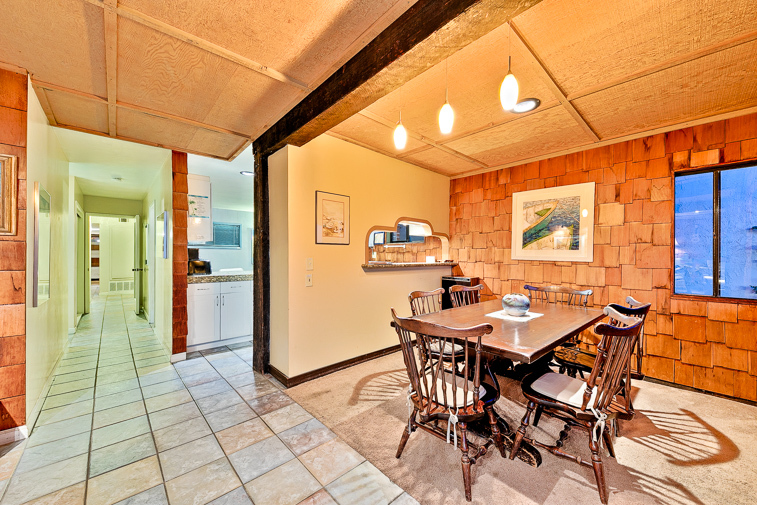 This 3-bedroom, 2-bath, 1500 sq. 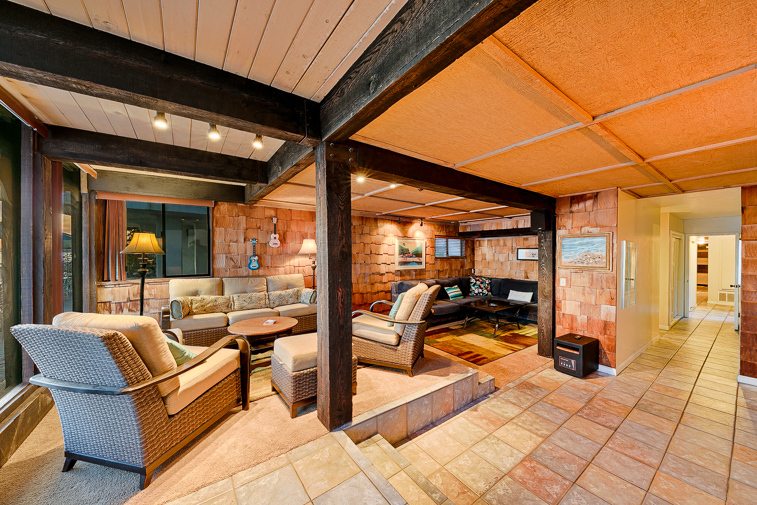 ft. is the lower level of this 2-story condo. 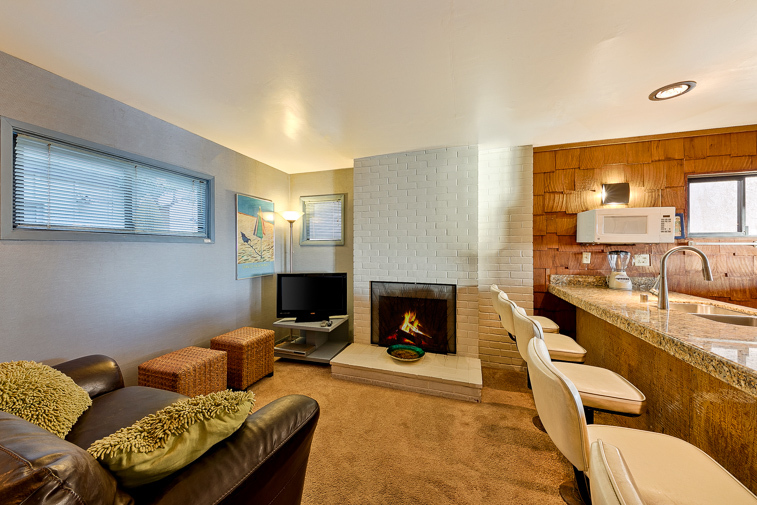 A retro feel, combined with all the modern conveniences you need and expect, make it a cozy place to return home to after your day’s adventures. 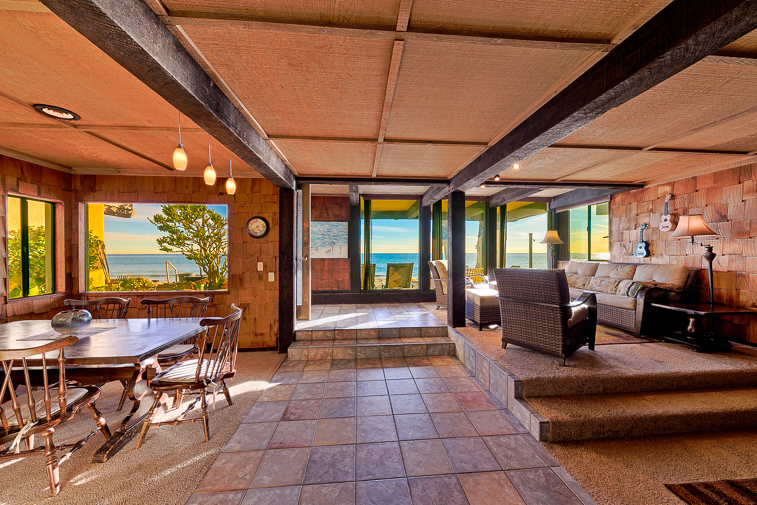 The spacious great room, with access to the beachfront deck, showcases a large living room area with lots of comfortable seating, a fireplace, and a large flat screen TV – a great place for everyone to relax and recharge. A dining table for 6-8 along with an adjacent kitchen bar with high top stools makes it easy for everyone to dine together. 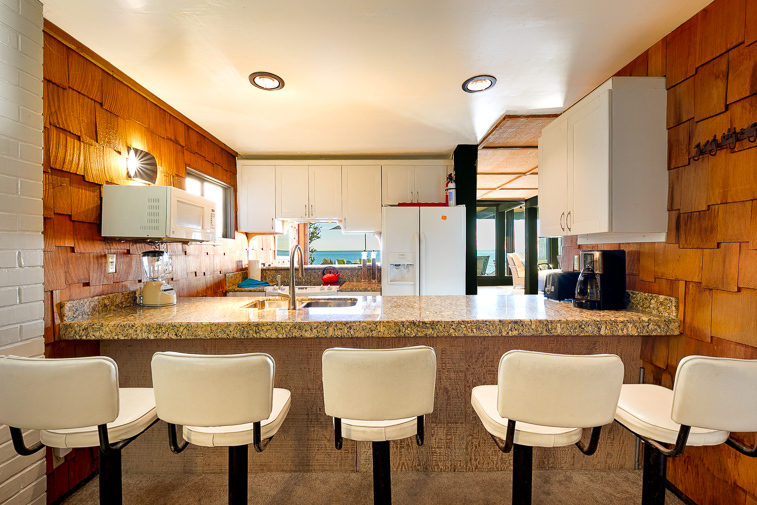 The fully furnished kitchen, right next to the dining room, has everything you need to satisfy your culinary desires - add the food and the camaraderie and enjoy easy living at its best. 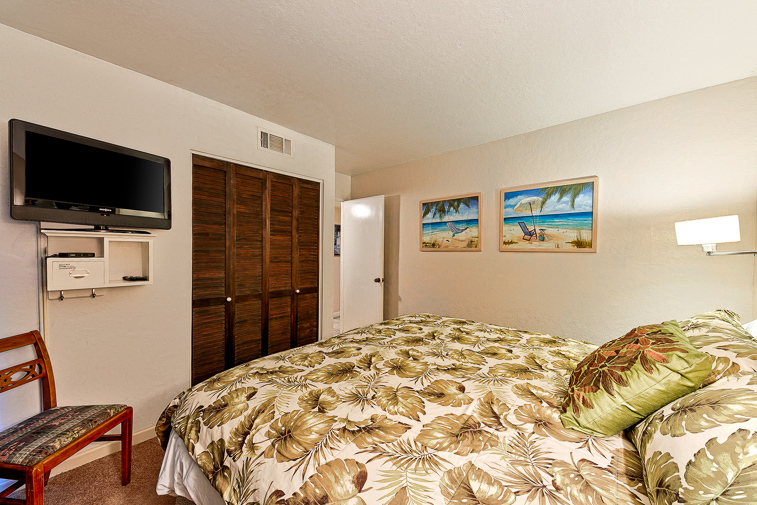 There is also a separate family room or den with a flat screen TV. 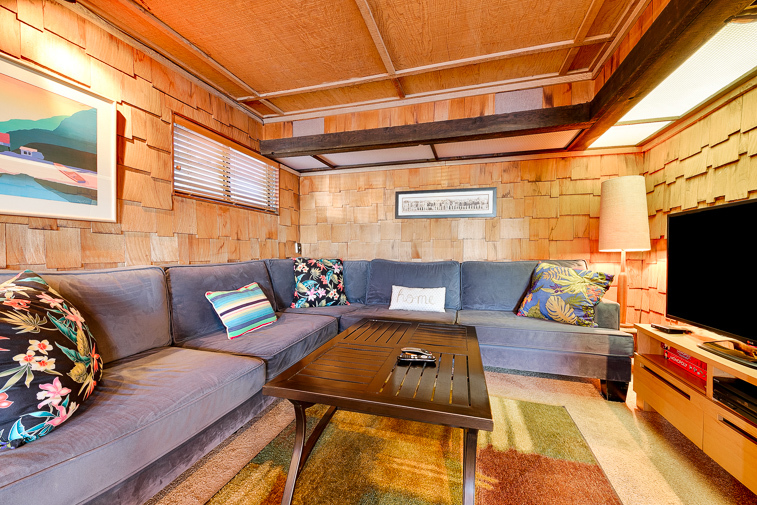 Great place for the kids to play games or watch TV. 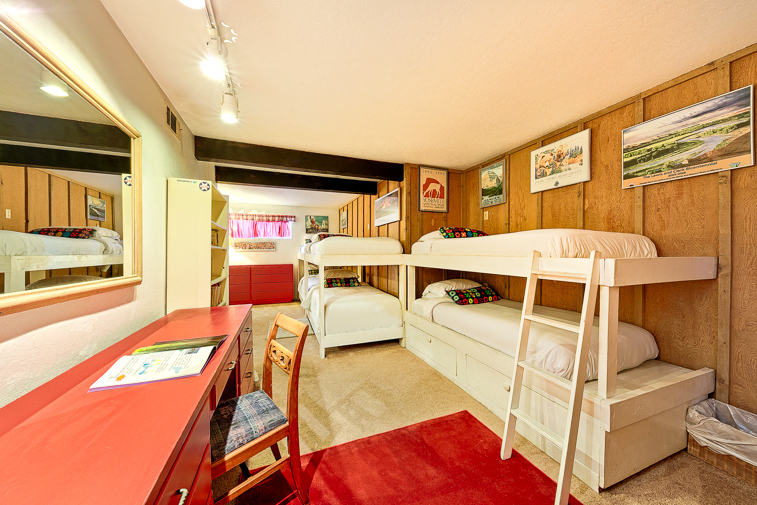 There are 3 bedrooms – a king master bedroom, a bedroom with a queen bed, and a kid friendly 3rd bedroom with 3 sets of bunk beds, so this home comfortably sleeps 8. 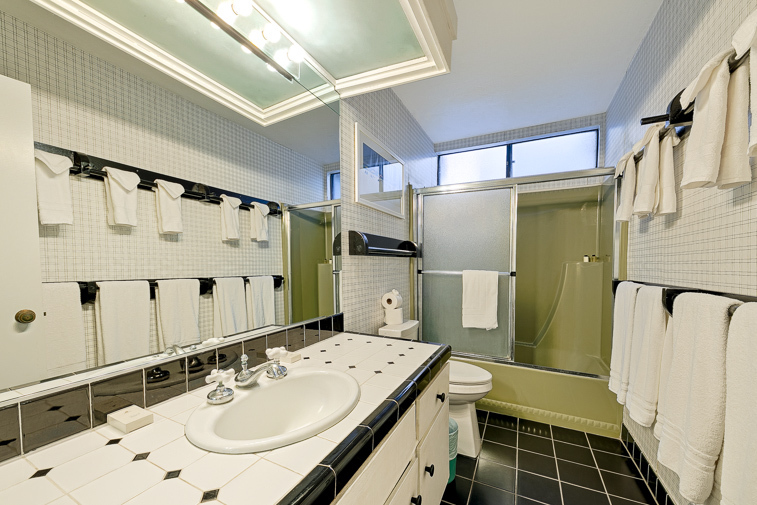 There are two baths – a full bath with a shower/tub combination; the 2nd one has a large walk-in shower. 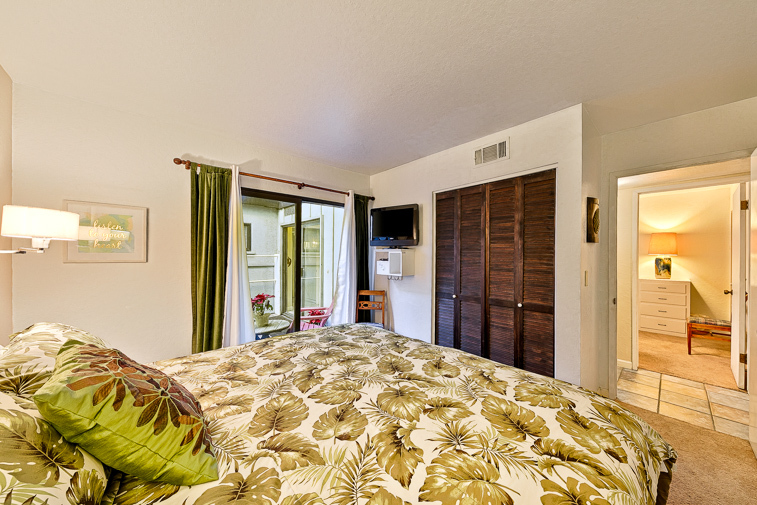 And of course, all bed and bathrooms are furnished with ample premiere linens for your ultimate comfort. 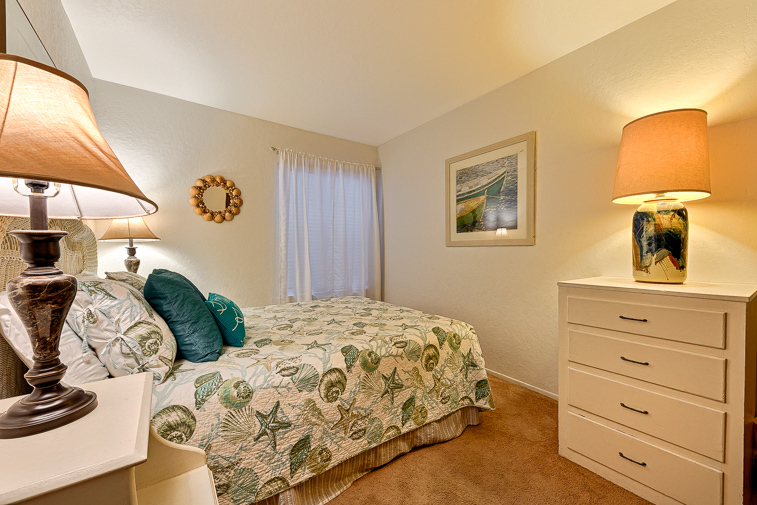 Other amenities include a washer and dryer, WIFI and cable, and driveway parking for 2 cars maximum. Come enjoy this unique slice of paradise. 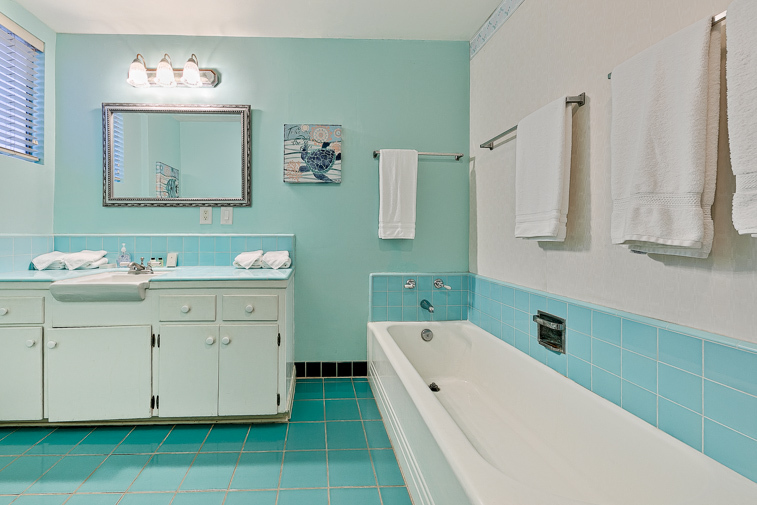 We know you will create precious memories of your seaside vacation in this retro, fun seaside resort. 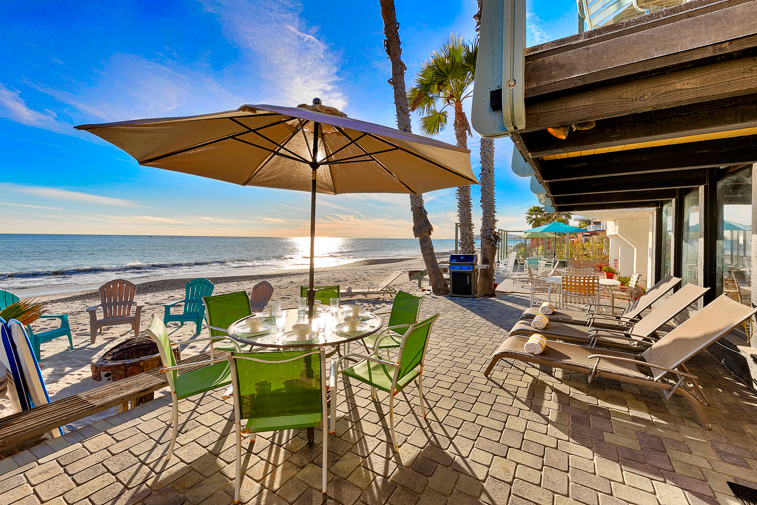 It is in close proximity to wonderful restaurants and shopping in San Clemente, Dana Point and nearby Laguna Beach - along with jet ski rental, fishing trips, whale watching and the Catalina Express. It is 35 miles south of Disneyland, and 55 miles north of San Diego. 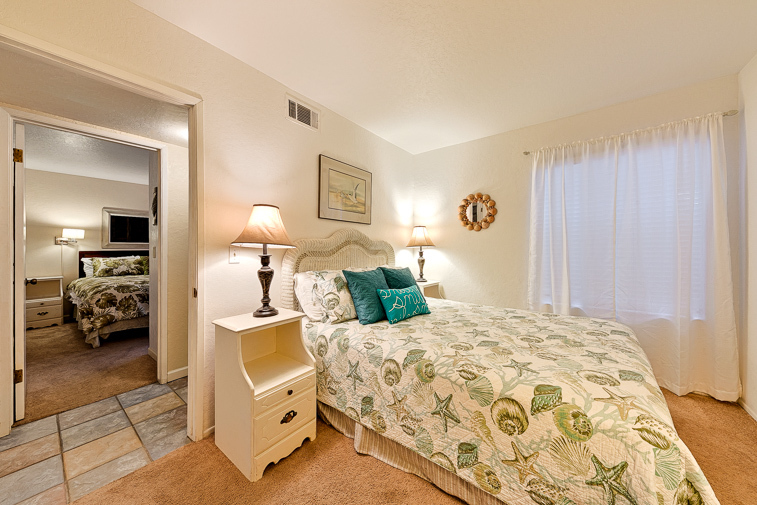 Not far from LEGOLAND, Disneyland, The San Diego Zoo and Wild Animal Park. 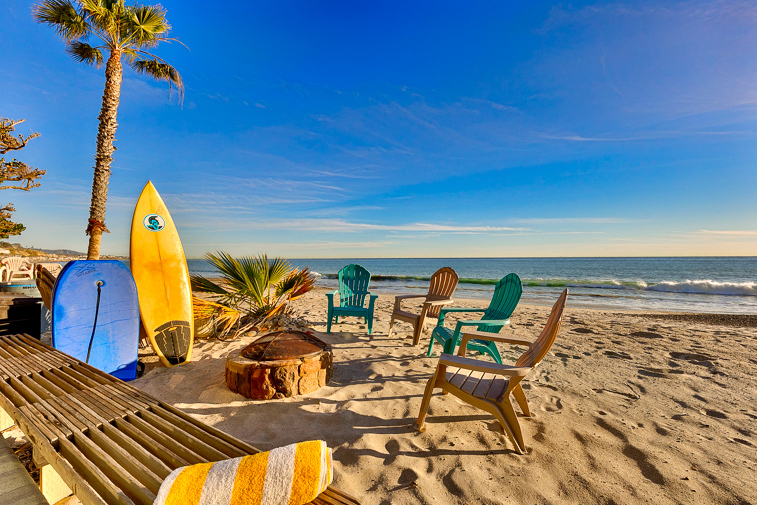 It has some of the best surf beaches in California and GREAT bike paths too. 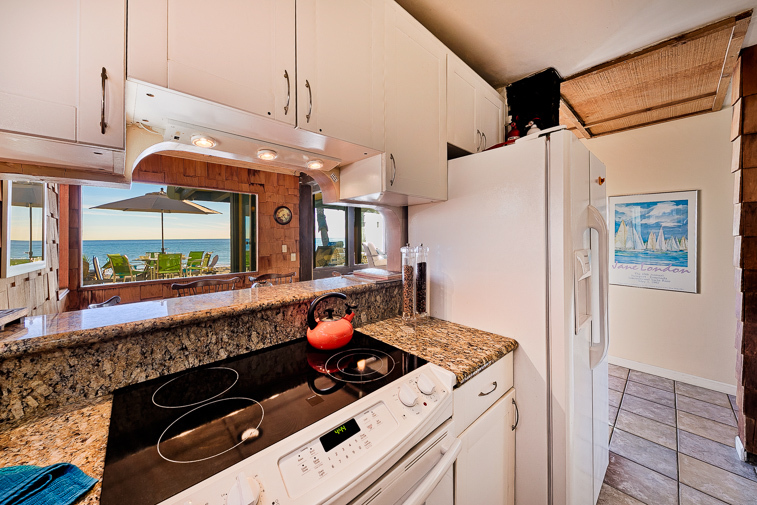 Super kid friendly – lots of nooks inside for them to play games or watch TV, and the beach is just steps away if they want to play in the sand or surf. Amtrack runs along the active railroad track on the opposite side of Beach Rd & the Pacific Coast Hwy. No smoking inside or outside the property - NO EXCEPTIONS! This home is equipped with exterior surveillance as required by local city noise ordinance. 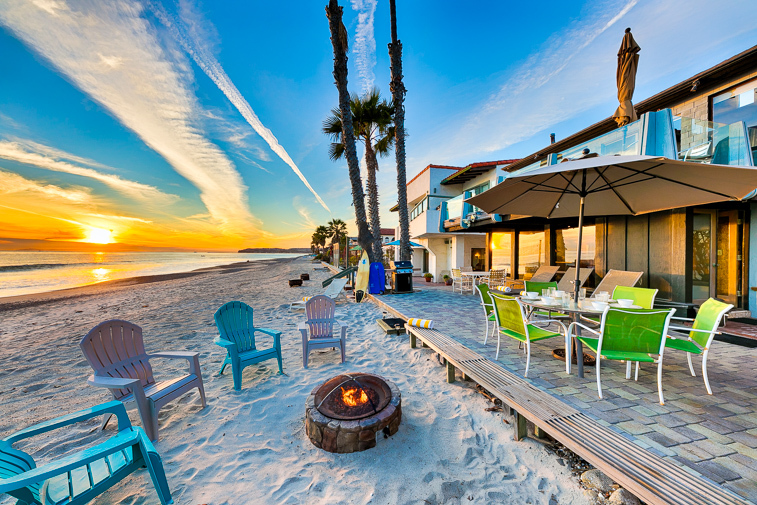 What a charming beach house. I was worried the beachfront space would be shared or that the place would feel like a condo but it was perfect. Private patio and the feel of a single family home. 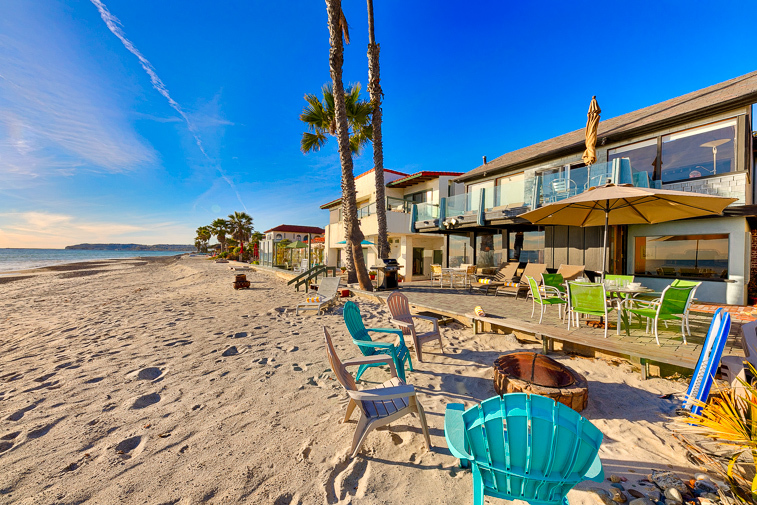 Step directly out to the sand and water, unobstructed. There is only one neighbor on the top and I didn't see or hear them the whole week. The house was very old and weathered but I felt it was extremely charming. I felt like our family was in a very sweet beach cabin. 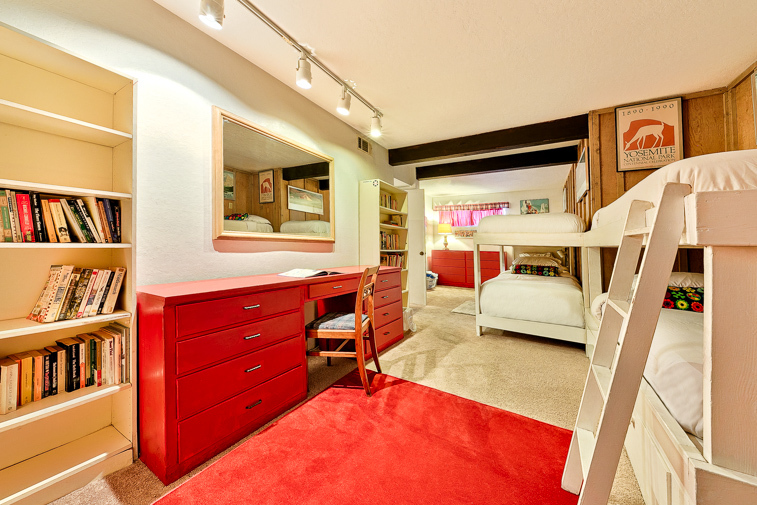 The bunk bed room is cute and the bathrooms were vintage. 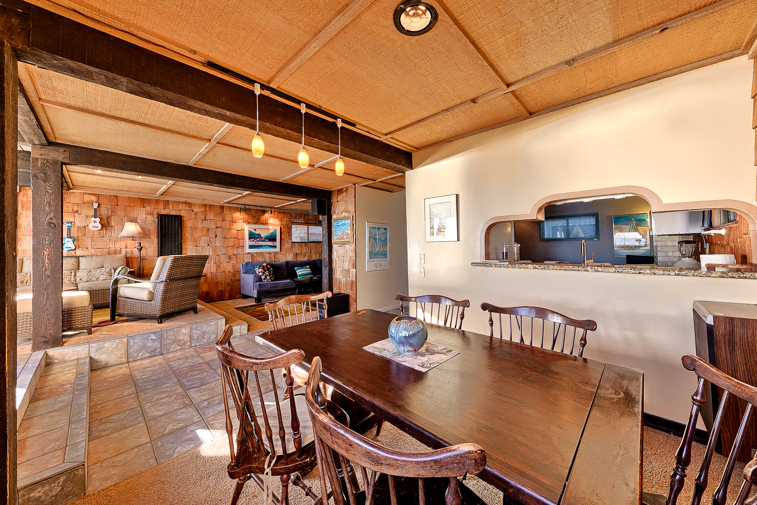 Lots of room to spread out with three living areas. It was well equipped with coffee, all the cooking dishes we could ask for and plenty of towels, etc. This location can not be beat. My kids played and I watched from the window or patio. We look forward to returning with friends next time. - Reviewed By Gwendolyn S.
Wow! This place was so perfect for my family and I! Wow! This place was so perfect for my family and I! We decided on this home for our spring break and with a little hesitation at first, we were beyond happy. The place is way more adorable than the pictures seemed to show in my opinion! 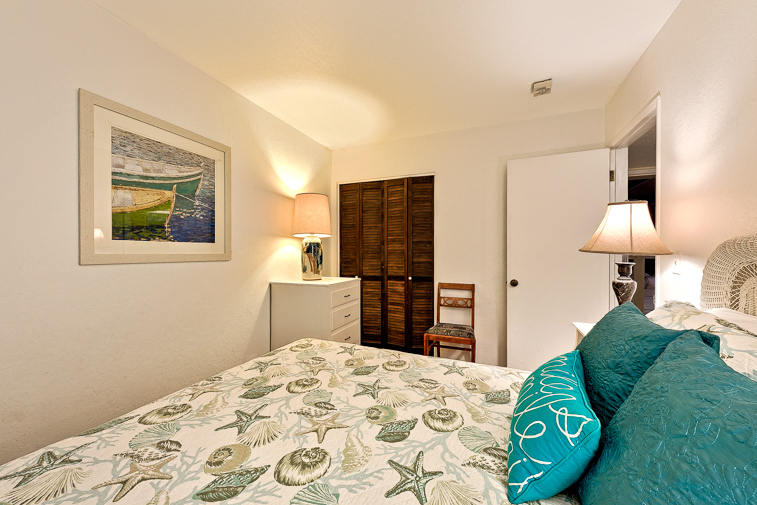 It was a perfect location, the house was super comfortable and clean and we had zero issues with hospitality. Well, we didn’t even have one single issue so honestly I don’t know why we’d need it! 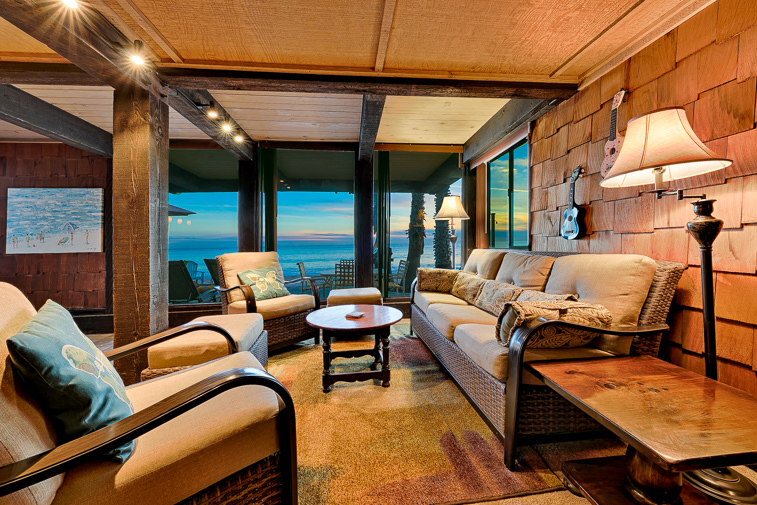 What a great little place to create great memories for a lifetime. I’d definitely be back. We loved that the beach was so private and there were so many little extras like beach towels and plenty of seating outside. Plus the super cute couple that lives in the house above were very helpful and the lady even came and sang us songs by the campfire! Thanks SeaBreeze for an amazing find. 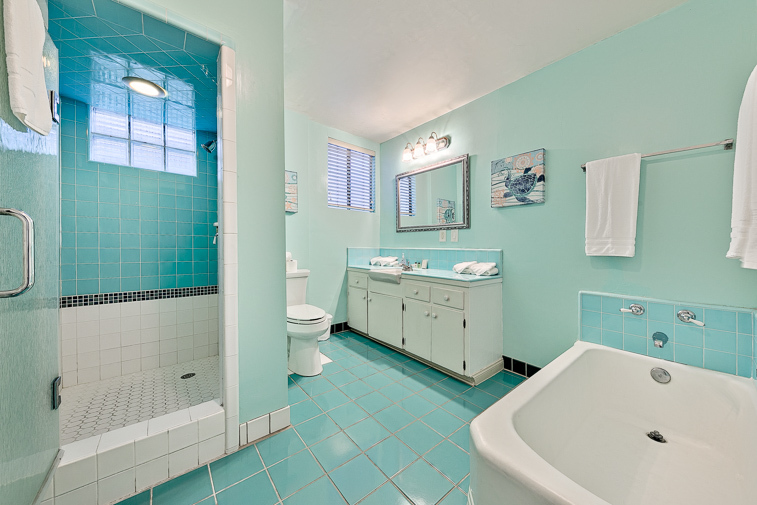 - Reviewed By Brittany P.
We loved this house. 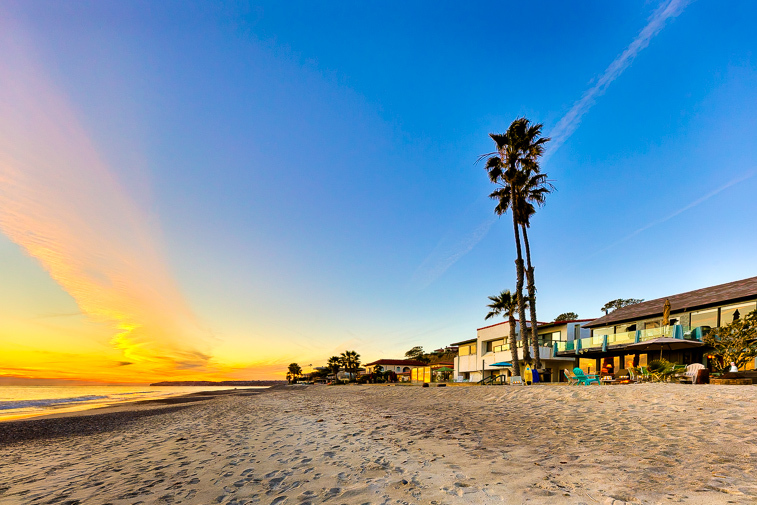 Through the years we've stayed at several other Beach Road properties, all managed by Capistrano Realty. We've loved the other houses but his one is now our favorite. They layout is very user friendly considering that 10 people were making it home for a week. The deck was perfect. 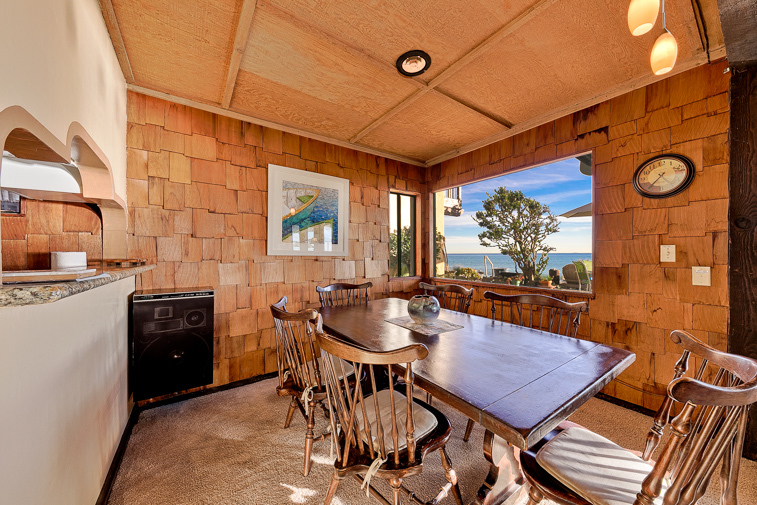 The house was a little musty when we arrived but that was quickly forgotten after we opened up the windows and doors to let the fresh ocean breeze in. It was never again an issue for the remainder of the week. The entire house was very clean. 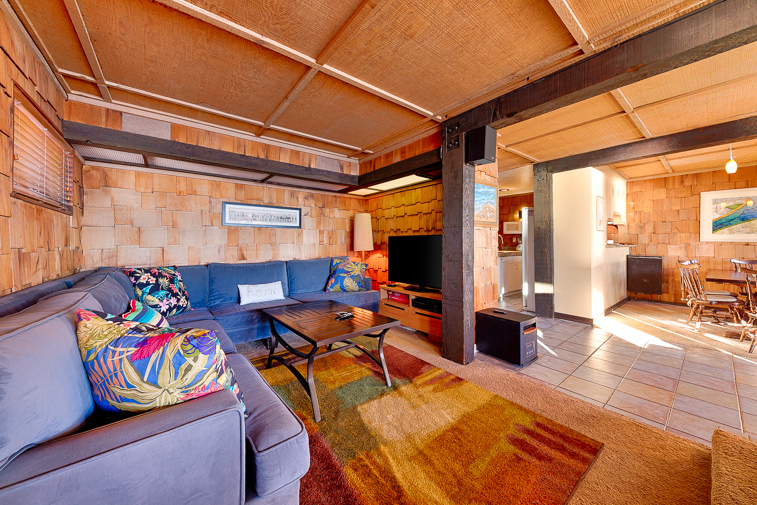 There are certainly much nicer homes on beach road, but for a week-long rental at this price it was fantastic. It was a great location and had plenty of room inside. We had a wonderful time and plan to go again! 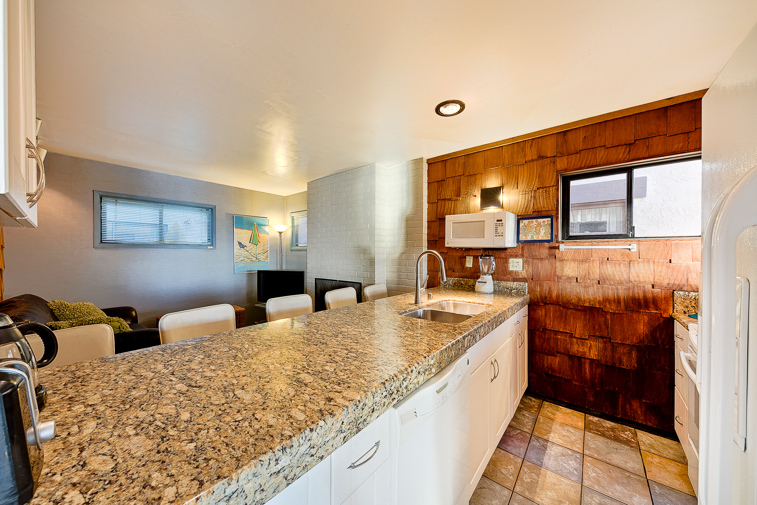 We love coming to this beach rental. It is RIGHT ON THE WATER. It is not fancy, but is clean and has all the basics (fire pit too!) 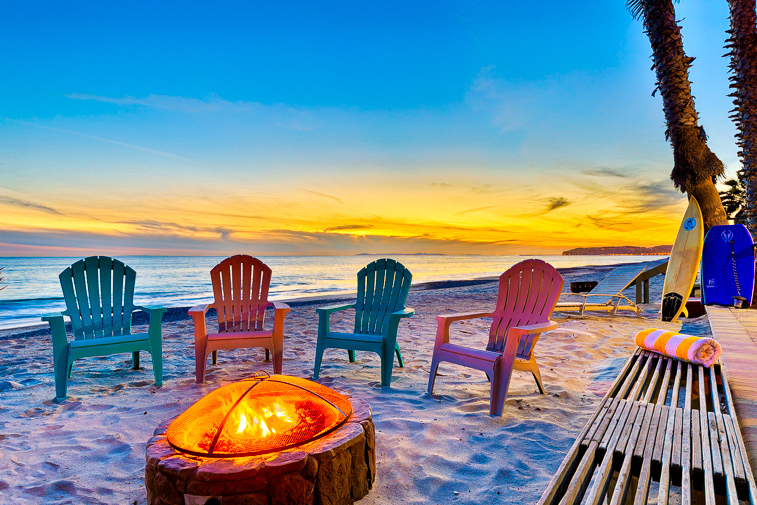 for a great beach trip with the kids. The house is cleverly broken up into multiple sitting areas (TV, quiet 'view' area, another tv room) so everyone is happy. 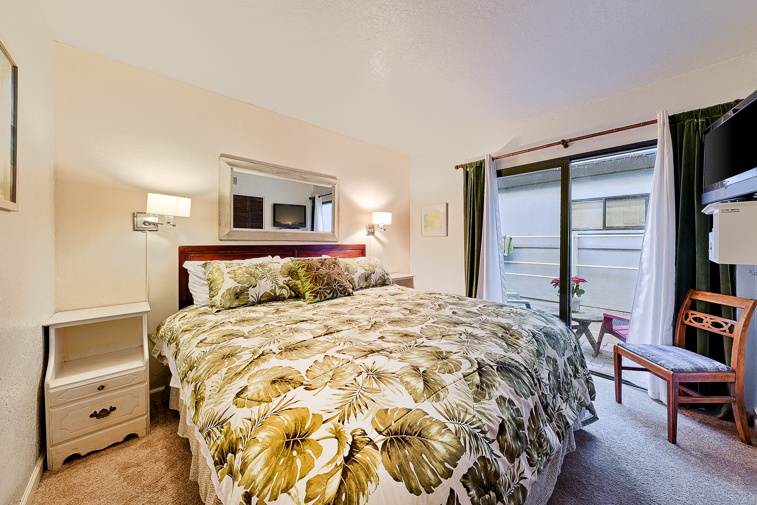 Vacation Rental Company is VERY responsive to any need. Must bring good water shoes- beach is very rocky- but has sand area too- swimming is still good. My kids call this 'their' beach house and hopefully- we'll be back next year- thank you!